Average CO2 emissions among the top 10 mass-market automakers increased in 2017 to 113.8 grams per kilometer, which was one gram higher than the 2016 average. PARIS -- Mass-market automakers lost more ground in CO2 emissions last year than did premium brands, a worrisome trend with less than two years before tougher European pollution standards start to go into effect. Average CO2 emissions among the top 10 mass-market automakers increased in 2017 to 113.8 grams per kilometer, which was one gram higher than the 2016 average, according to the report from JATO Dynamics. Those automakers accounted for 58 percent of the market in the 23 European countries studied. The top 10 premium brands held steady, with a loss of 0.1 g/km. Overall, the European fleet average was up 0.3g/km to 118.1g/km, halting a decade of steady decreases in overall tailpipe pollution. By 2021, the fleet average for new cars needs to drop to 95g/km, with a phase-in period starting in 2020. That corresponds to about 4.1 liters per 100 km of gasoline and 3.9 l/100 km of diesel. The current standard is 130g/km (about 5.6 l/100 km of gasoline and 4.9 l/100 km of diesel), which went into effect in 2015. Much is at stake. Cars that do not meet the target will incur a fine of 95 euros per gram, per car. That could mean fines of hundreds of millions of euros per year for some manufacturers, according to a report last year from PA Consulting. "Everyone should be worried," said Felipe Munoz, global automotive analyst at JATO Dynamics. "The performance isn't showing any more improvement, and the target is coming soon." The reasons for the increased emissions are a steep drop in sales of diesel engines, which tend to emit less CO2 than comparable gasoline engines, and the sales success of SUVs and crossovers, which are heavier and less aerodynamic - and thus less efficient - than sedans or hatchbacks in the same segments. Last year, diesel cars sold in Europe had average CO2 emissions of 117.9g/km, while gasoline cars had an average of 123.4g/km. "The improvement over the last 10 years was mostly because of diesel engines," Munoz said. Average CO2 emissions in 2007 across the European fleet were 159.1g/km. Automakers are turning to a range of technologies, including hybrids and electric vehicles, to meet the stricter standards. However, consumers have been slow to embrace those technologies, which often come with added cost and in the case of electric vehicles, concerns about range and availability of charging stations. "As diesel sales fall, the rate of adoption of electric vehicles and hybrids is much slower than the switch to gasoline engines," Munoz said. Among volume brands, only Fiat and Toyota showed improvement in 2017. Toyota has focused on hybrids and will stop selling diesel-powered passenger cars by 2019. Its fleet average in 2017 was 101.2g/m, displacing Peugeot as No. 1 among the top 20 selling brands in Europe. "Toyota is the best example to follow," Munoz said. "We think they will continue to lead." Fiat's gains were largely due to sales of the Tipo diesel, which make up 9 percent of its total volume in Europe. The Tipo's new diesel produces 3.5g/km less CO2 than its predecessor model. However, with no alternative-fuel vehicles in its fleet, Fiat's future gains will be harder to come by, Munoz said. Peugeot was a victim of the success of its 3008 and 5008 crossovers, which made up nearly a quarter of its sales, as average CO2 emissions rose by 3.7g/km. Skoda increased the most, 4.1g/km, which Munoz attributed to strong sales of the Kodiaq SUV and higher emissions for the popular Octavia diesel, which increased CO2 output by 3.9g/km. He said that could be due to buyers choosing more powerful diesel variants. For example, the least-powerful Octavia diesel emits 106g/km, while the most powerful emits 136g/km. Standouts among premium brands included BMW, which improved by 1.3g/km to 121.8g/km, which JATO attributed to a wide range of alternative-fuel vehicles that made up 7 percent of sales. "There are automakers focusing more on alternative-fuel vehicles, which are right now the main drivers of improvement," Munoz said. "As long as they keep pushing these cars, this will help offset the decrease in diesel." Porsche managed to decrease emissions by 8.3g/km, to 177.7g/km, an improvement credited to hybrid versions of the Panamera sedan and the new, more efficient 718 Cayman and Boxster. Mercedes-Benz cut 1.6g/km of CO2 from its average while Audi's average rose 0.3g/km. Volvo, which has said it will develop no new diesel engines and electrify every new car launched from 2019, gained 2.7g/km of CO2 because of increased sales of the S90 and V90 diesels. Each automaker is given a target based on the weight of its fleet, with heavier cars allowed higher emissions than lighter ones. There are also exemptions for smaller producers. Automakers that sell between 10,000 and 300,000 cars annually can apply for a fixed target of 45 percent reduction in CO2 emissions from 2007. 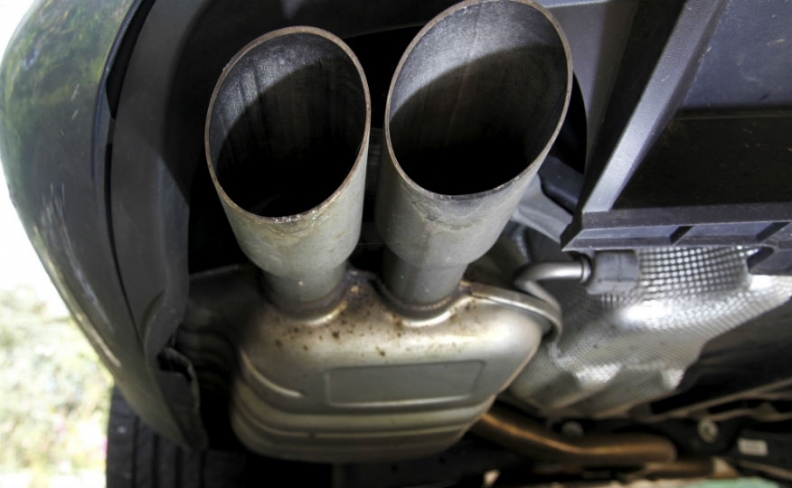 The EU has also given automakers tools to help them meet the standards. Among them are so-called "supercredits" for cars that emit 50g/km or less. Each such car will count double in 2020, but the credits will phase out by 2023. Manufacturers can be awarded credits worth up to 7g/km for "innovative technologies," and they are allowed to act jointly to meet the standard, so long as they respect EU competition law.